- Forty major rock layers divide into thousands of microlayers: As with biological taxonomists, geology has its own lumpers and splitters. 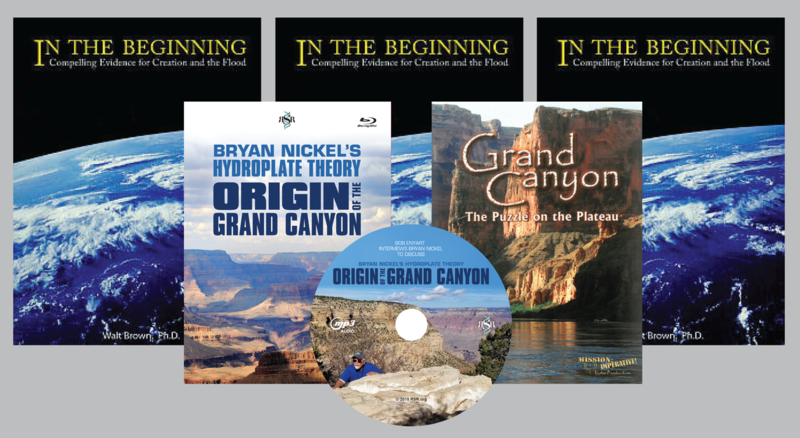 As the longtime chief geologist for the U.S. Bureau of Reclamation for the Pacific Northwest told Bob Enyart on June 13, 2018, "Some of those uneroded flat layers at the Grand Canyon are paper thin." - 100 million years-worth of missing deposits and erosion: Mainstream geologists including the USGS and those at the National Park Service identify a single flat-gap boundary between two strata where they claim that 100 million years of strata deposition and erosion are completely missing! 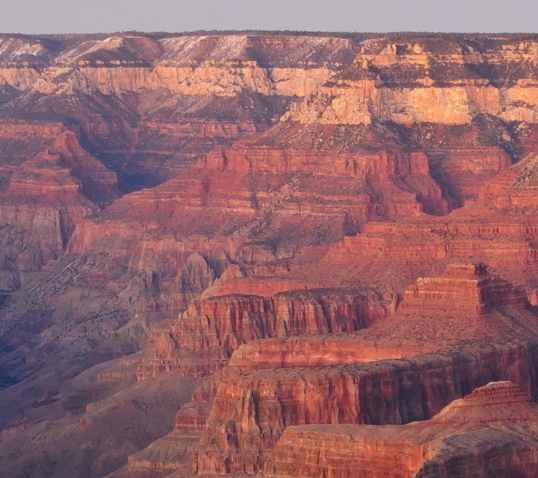 (See for example this NPS Geology of the Grand Canyon report.) These missing epochs apparently occurred, no less, between two conforming layers at a "flat gap" boundary. That's where the presumed chronological record in the strata is completely missing any evidence of the geologic periods called the Silurian and the Ordovician. They're just missing. The arrowhead on the photo (below) indicates where all that 100-million-years worth of sedimentary deposits and erosion supposedly occurred, yet without leaving a trace of their alleged passage! No deposition, and, for 100 million years, no erosion! Wow! 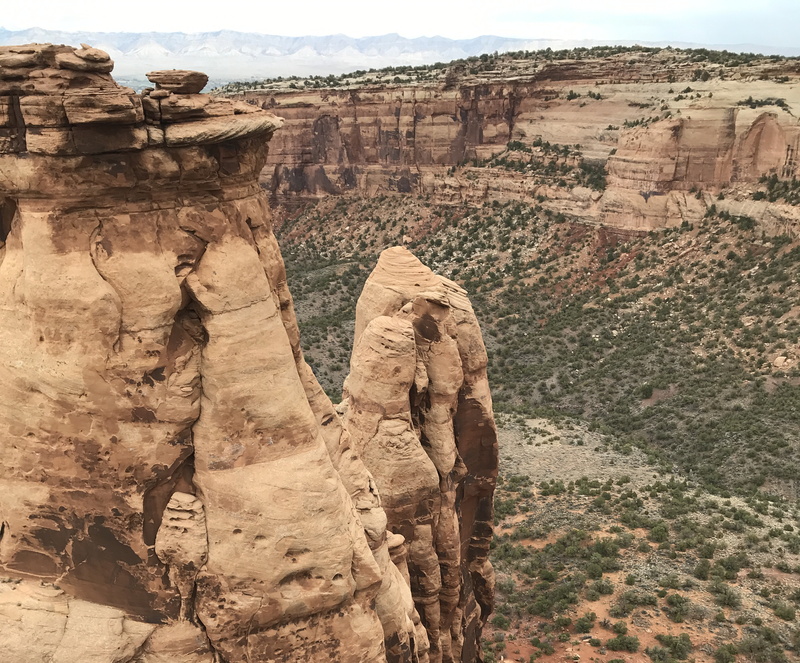 Not one scientist in history would ever conclude by directly studying the canyon's strata that tens of millions of years of the alleged geologic column are missing between layers with "flat boundaries" that look just like boundaries for the layers that they admit are continuous. 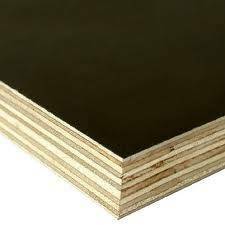 (Further, flat gaps sometimes show positive evidence of no passage of time, such as the lithification of raindrops at the top of the stratum. So RSR predicts that positive evidence for no time passage exists exactly at the boundary where 100 million years of time allegedly went missing.) What is it then that leads geologists to claim passage of so much time where so much physical evidence speaks against that passage? It's fossils. The expected evolutionary progression of fossils is missing more than 100 million years. The "periods" missing where indicated in the photo are part of the Devonian and all of the Ordovician and Silurian. And by the way, those same layers are "missing" throughout most of Montana! So instead of most geologists being politically incorrect (which could end their careers) and commit the heresy of questioning the theoretical evolutionary framework, they instead blatantly contradict the actual rock hard evidence of the strata themselves. - Nautiloid fossils in the bottom layer of the Redwall Limestone: The Grand Canyon contains millions of dead nautiloids, some as long as your forearm. On average, for every four square meters, one nautiloid either lies or stands upright in limestone throughout the park and far beyond! We've long encouraged old-earthers (like with Stephen Meyer on RSR) to keep an eye out for these fossils as at rememberthenautiloids.com. In the Grand Canyon, this basal layer of the Redwall Limestone runs for 277 miles averaging seven feet thick in the east and thickening to about 40 feet as it runs to the west (and beyond, even to Las Vegas). 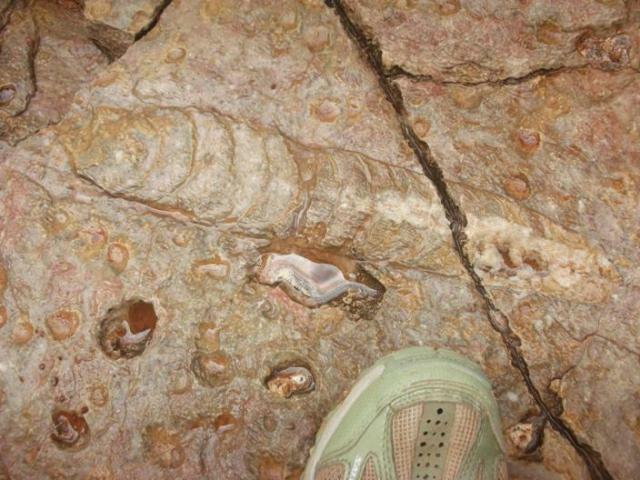 Covers thousands of square miles, this layer contains an average of one nautiloid fossil per four square meters. The remains of these creatures contradict the standard account for the super-slow formation of limestone which in the Redwall is about 4,000 years per inch. Along with many other dead creatures in this one particular layer, 15% of these nautiloids were killed and then fossilized standing on their heads. Yes, vertically. Whatever conditions existed at their demise prevented gravity from enabling all of their dead carcasses to fall over on their sides. Of course, these dead creatures would not lay around for 10,000 years on a seafloor waiting to be fossilized, and they certainly wouldn't stand vertically for 80,000 years waiting for the limestone to entomb them. And as seen characteristically at rsr.org/polystrates with even delicate radiating spines and schools of jellyfish permineralized through multiple strata, there is no wear pattern showing greater erosion on the top as compared to the bottom of buried nautiloids and all such fossils, yet again disproving any slow deposition hypothesis. Famed Mount St. Helen's geologist Steve Austin is also the world's leading expert on nautiloid fossils. 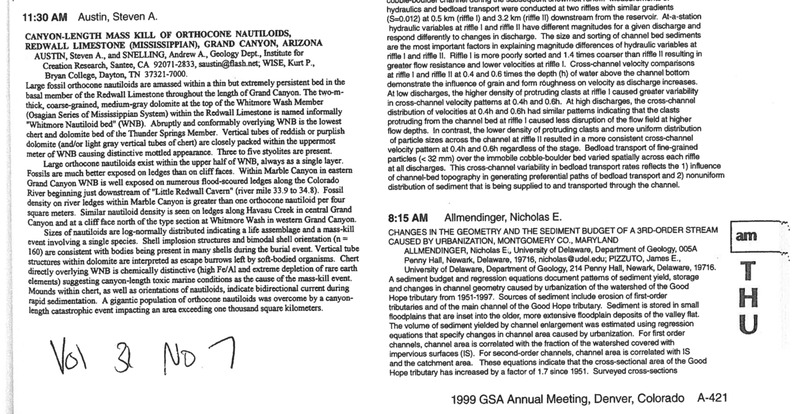 (See for example Austin's abstract for a Geological Society of America conference titled the Canyon-Length Mass Kill of Orthocone, Nautiloids, Redwall Limestone (Mississippian), Grand Canyon, Arizona which is excerpted at youngearth.com/grand-canyon-nautiloids.) Dr. Austin has worked in the canyon and presented his findings to the park's rangers at the invitation of National Park Service officials. Austin points out, as is true of many of the world's mass fossil graveyards, that this enormous nautiloid deposition provides indisputable proof of the extremely rapid formation of this significant layer of limestone near the bottom of the canyon. In this video presentation by Dr. Austin, to see the nautiloid material, just click Play to watch beginning at 16:12 and continue until Steve mentions "the lower half of the Redwall Limestone". Also, you can jump right to 21:25 to see this 7-foot layer itself. 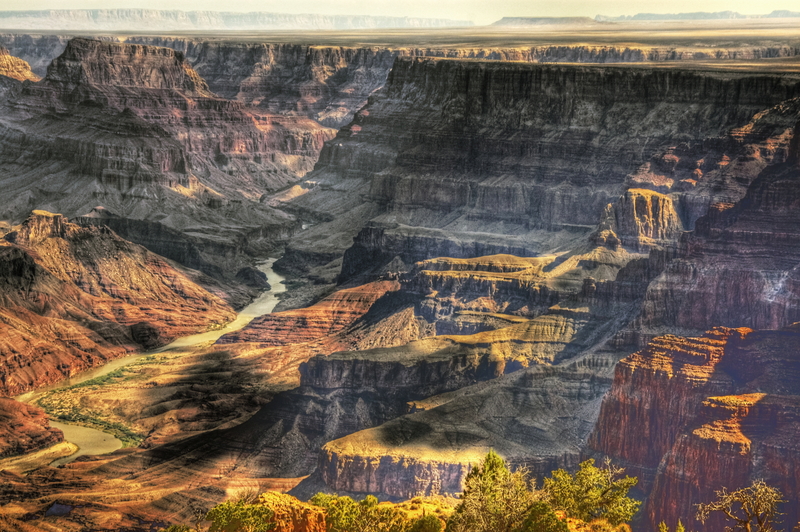 Standard geology teaches students that limestone as at the Grand Canyon forms at the bottom of a shallow and placid sea with slow and gradual sedimentation, often just one grain of calcium carbonate at a time. But a million nautiloids, standing on their heads, literally, would beg to differ. 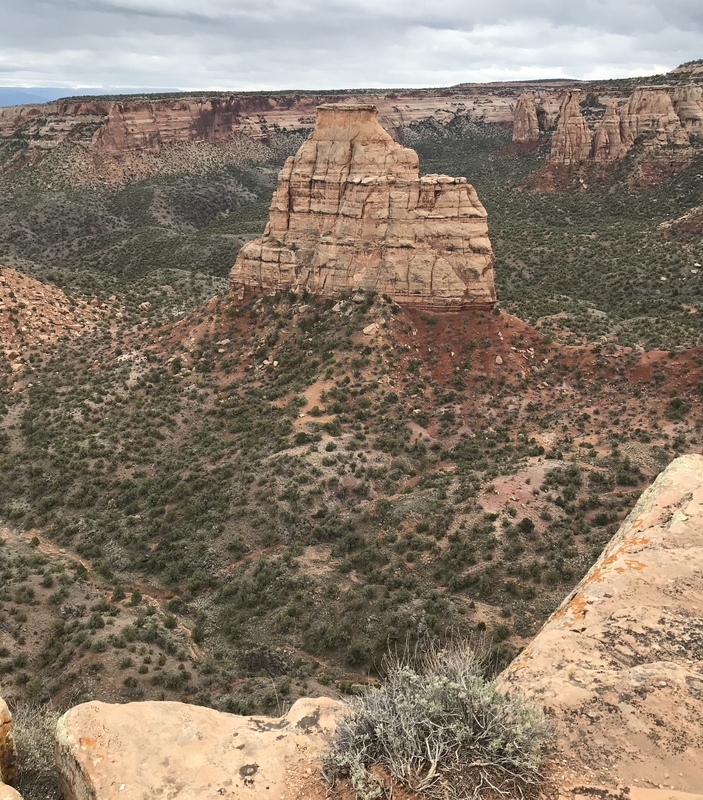 - Rock walls of the barbed canyons have drooping, gently curved sediments: Bob Enyart described these on last week's RSR program as "wildly downward curved" rock walls. The layers of these barbed canyon walls are smoothly bent, arched layers of rock. (See them at 1 hour into Bryan Nickel's video.) These curved walls are not made of metamorphic rock, meaning that they were not heated enough to melt and softly deform their drooping layers. - 500 million years-worth of missing great unconformity deposits and erosion: Bob and Bryan discuss this at 47 minutes into rsr.org/gc4. Allegedly, a half billion years transpired at the precise point in the strata called the "great unconformity". 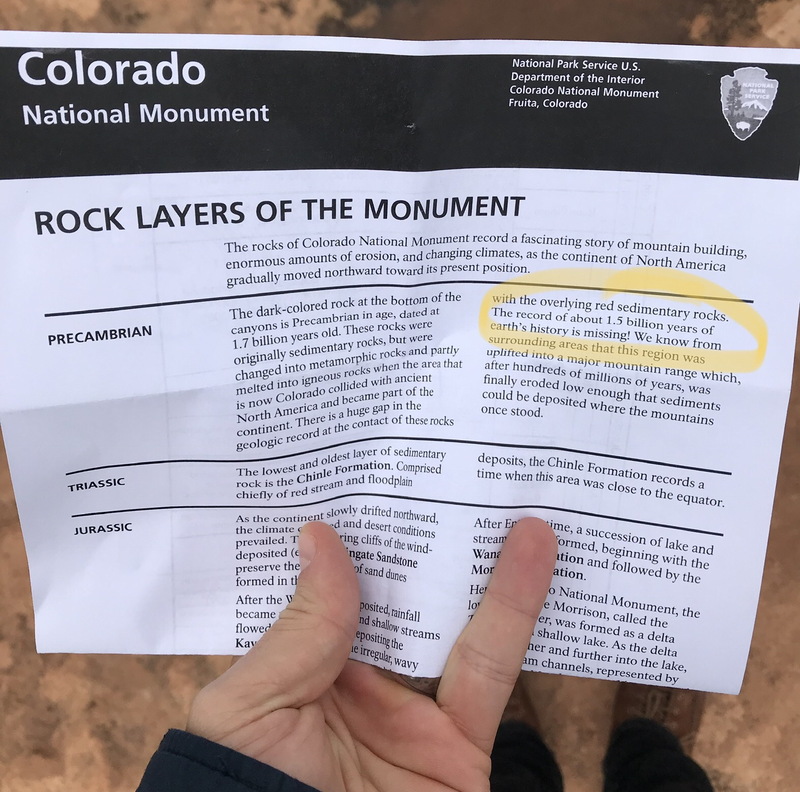 [As discussed on air, these arguments are region wide, as witnessed by the similarly "missing" 1.5 billion years just above the dark rock at the base of the Colorado Nat'l Monument.] To separate fact from speculation, the fact is the physically sudden change in the orientation of the strata. 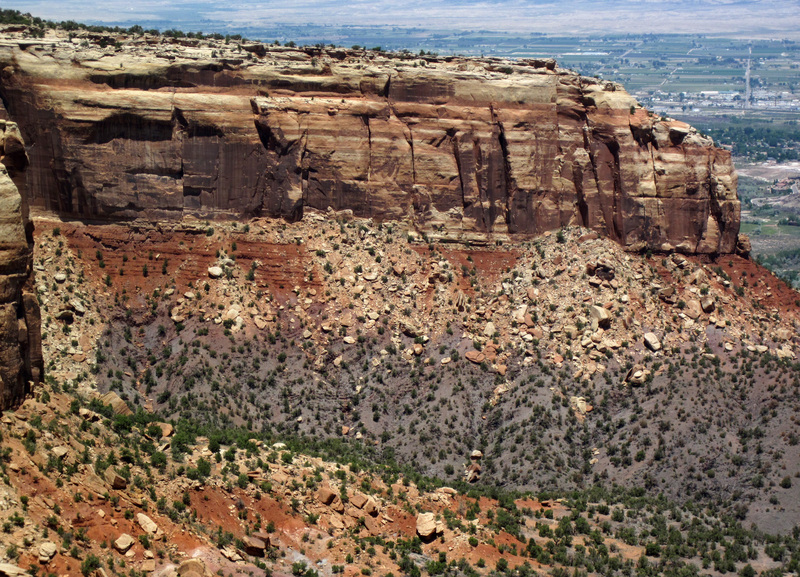 Above the unconformity the layers are horizontal and below that physical boundary the rock layers are tipped. That is the fact. The wild speculation is that 500 million years passed at that point in the record of the rocks yet leaving behind a boundary characterized by a lack of deposition and a lack of erosion. This is five times more absurd than the missing 100 million years at the boundary between two typical rock strata where the alleged Silurian and Devonian time periods would have transpired, also without leaving depositional or erosional evidence. - Dozens of science journals report dinosaur soft tissue fossils: As the claimed millions of years in the canyon's walls chronologically collapse into a single geological event, so too the radiometric methods claiming to support those false millions of years also collapse. Expectedly then, the amount of tissue decomposition within dinosaur bones is on the same order of magnitude as that in Egyptian mummies. So, as documented in the clickable catalog at tiny.cc/bflist (biomaterial fossils list), 26 peer-reviewed scientific journals have reported the discovery of endogenous dinosaur red blood cells. The journals reporting include Nature, Science, PNAS, PLoS One, Proceedings of the Royal Society, Bone, Acta Histochemica, Nature Communications, the Journal of Vertebrate Paleontology, and Proteome Research. The kinds of biological material found so far as of June 2018, in fossils from dinosaur-layer and deeper strata, include flexible and transparent blood vessels, blood cells, starch, many various proteins including beta-keratin, the microtubule building block tubulin, collagen, shell glycoprotein, chitin, the cytoskeleton components actin, tropomyosin, and the related motor protein myosin, and hemoglobin, bone maintenance osteocyte cells, pigment including melanosomes, DNA-related histone proteins, and powerful evidence for DNA including positive results from multiple double-helix tests. And the dinosaurs, and other Mesozoic creatures, yielding up their biological material include hadrosaur, titanosaur, ornithomimosaur [ostrich-like dinosaurs], mosasaur, [bird-like] Anchiornis huxleyi, triceratops, Brachylophosaurus canadensis, Lufengosaurs, T. rex, and Archaeopteryx. Dinosaurs are a creationist's best friend! When they lose the dinosaurs, they lose it all. 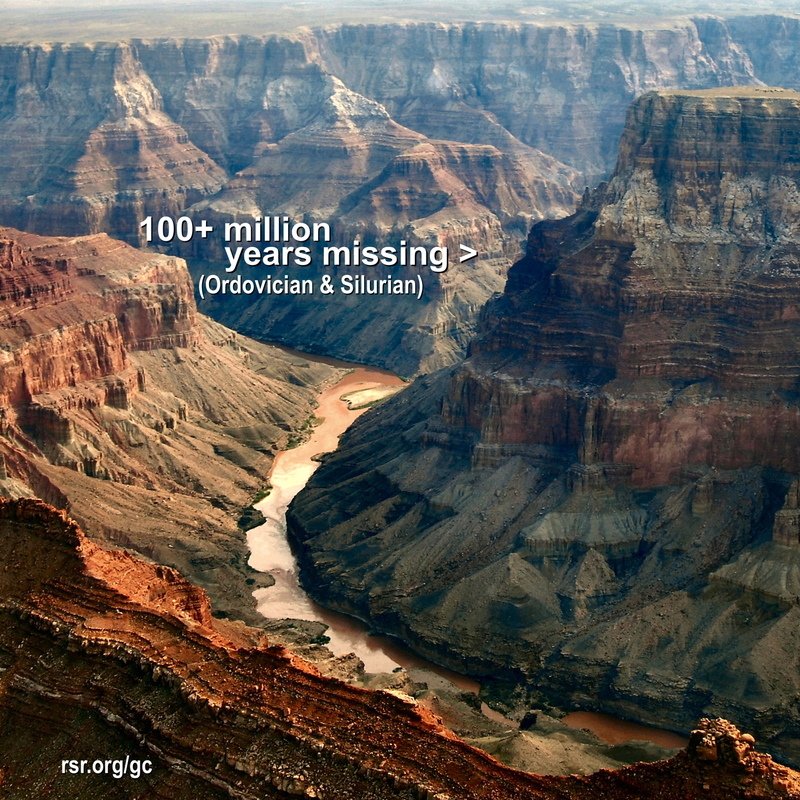 So if we lacked all the above evidence, dinosaur soft tissue alone falsifies the grand canyon's millions of years. - Short-lived Carbon 14 is everywhere it’s not supposed to be: As carefully explained (and reviewed) at rsr.org/14c, there are significant amounts of short-lived 14c in quantities well above the least count (margin of error) of our state-of-the-art AMS equipment (accelerator mass spectrometry). The 5,730-year half-life of radiocarbon means that if the entire Earth were a ball of Carbon 14, in less than a million years it would all have decayed away. into Nitrogen has such a brief half-life that if This shortlived radiocarbon being consistently measured in diamonds, dinosaur fossils, marble, giant extinct aquatic lizard, natural gas, coal, and reportedly, in oil. - The quartzite block: Thie quartzite block below the Isis formation in the Grand Canyon gently deformed the strata around it, falsifying the uniformitarian slow deposition explanation of the canyon's strata and proving that those layers were all simultaneously soft.